According to the Wall Street Journal the "historic agreement" will be signed by the end of September. But announcements of this type have been happening for years. The Pope and the Vatican are ready, but China is divided: it favors the foreign ministry; against the United Front and the Patriotic Association which continue unperturbed to persecute the Church and religions. The silence of Beijing and Xi Jinping. Rome (AsiaNews) - The authoritative Wall Street Journal (WSJ) yesterday released the news that China and the Vatican "are ready to sign a historic agreement" by the end of the month. The agreement concerns the procedure for the appointment of bishops, in which China has the power of appointment and the Pope would have the power of temporary veto or confirmation. On the other hand - according to the WSJ – he would be recognized as "head of the Catholic Church in China" and "in exchange" should "recognize seven excommunicated bishops", elected and ordained without papal mandate. In reality, the lifting of the excommunication from seven bishops is the result of a personal journey undertaken by these pastors with the Pope and not "leverage” in negotiations between the Holy See and the Beijing government. But beyond these canonical clarifications, it is worth pointing out what the WSJ says in the article: that "the agreement could still fail or be postponed, due to unforeseen events". And here is the point. For at least three years now, Italian and Vatican journalists have in turn announced that the agreement between China and the Vatican is about to be signed. It was discussed - always quoting anonymous people, but "with inside knowledge of the Vatican-Chinese dossier" - in November 2016, at the end of the Year of Mercy; then at the end of 2016; then in June 2017; then last March and now the end of September. And so far nothing has happened. Jokingly, one of my brothers says that these predictions are like those of Jehovah's Witnesses for the end of the world! Quoting the Gospel, we can honestly say that nobody knows "neither the day nor the hour" (Matthew 25,13). This "not knowing" does not depend on the Pope and the Vatican. 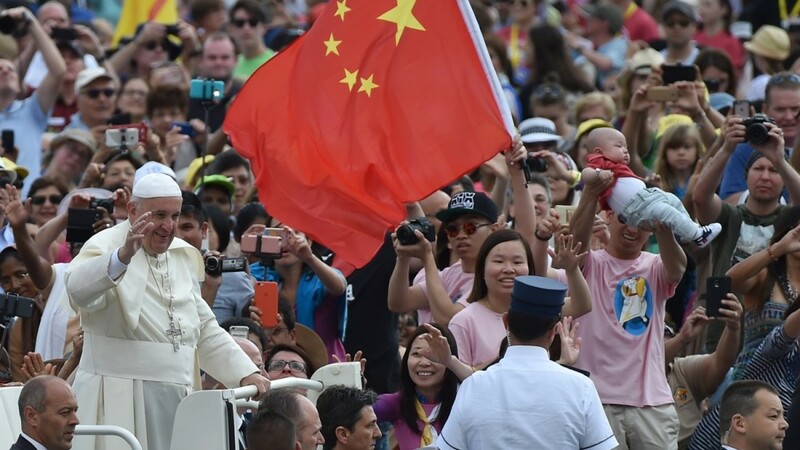 In these years Pope Francis has shown a great love and respect towards the Chinese people and their history and has the desire to go to China; the Vatican delegation seems willing to grant any concession in order to have even a small, even temporary, agreement with the Chinese giant. The fundamental question - which few journalists and observers ever pose themselves - is whether China is really interested in this agreement. In the past, authoritative (?) 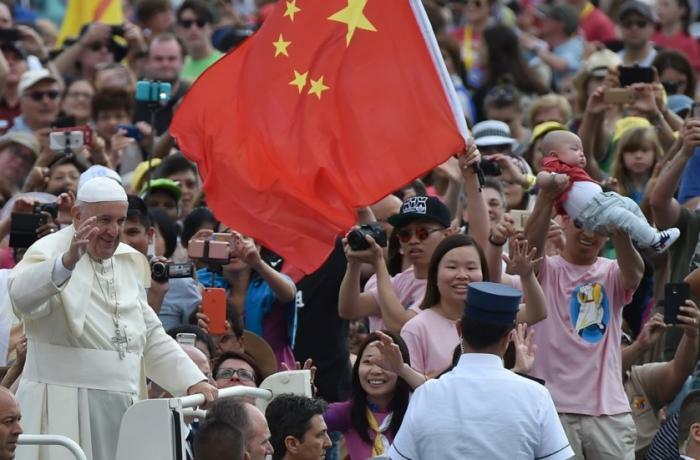 commentators have attributed the reasons for the delay to the divisions among Catholics in China and in the world. In reality, the point is that the divisions are within the same Politburo. On the one hand there is the foreign ministry, open to international politics, which would be favorable to the signing of the agreement: there would be a massive gain for China in terms of its global image and international reputation, which right now is suffering because of the tug of war with the United States; it would shake Taiwan – left only with the Vatican among EU nations that recognizes it from a diplomatic point of view. But there is also the United Front, the Ministry of Religious Affairs, the Patriotic Association, which govern the daily life of Christian communities, enriching themselves with their controls and expropriations of Church property. For them, any space given to relations with the Vatican represents a threat to their absolute power. For this reason they continue to resist showing their hegemony: churches and crosses destroyed; seizure of land; bans on young people attending churches; sinicization, that is the assimilation and submission of every activity and of all theological and liturgical thought. After the Chinese Communist Party Congress last October, the United Front was placed directly under the Party. This means that Xi Jinping, president and general secretary of the Party, is its maximum authority. For this reason, the waiting that lasts for years could be dissolved with a single decision by Xi Jinping in wanting to sign the agreement with the Vatican. But at present, Xi's authority is rather weakened: the frontal confrontation with the US could have disastrous economic consequences for China and for this reason there are criticisms addressed to him from inside the Party. In addition, his anti-corruption campaign against "tigers" and "flies" has created a great many enemies. In deciding to sign the agreement with the Vatican, he would have to stand against the United Front, boosting the number of those who would like to see him fall from power. This goes some way to explaining the silent reaction to the WSJ scoop in Beijing newspapers and the foreign ministry reaffirmation of its "sincerity" in wanting dialogue with the Vatican but no comment on the agreement; The Beijing Academy of Social Sciences claims to know "no details of the agreement, or when it may be signed"; while many in the Chinese Church want an agreement, but nobody knows when this will happen.